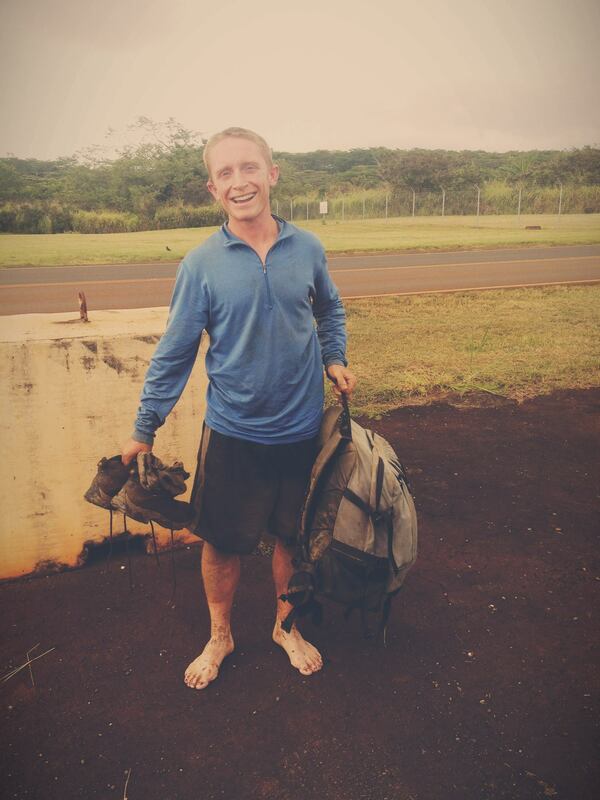 Just two weeks ago, 27-year-old Matt Perkins set off on an overnight trek in the Ko’olau Mountains on the island of O’ahu. Starting at the Pupukea Trail on North Shore, Perkins hoped to continue on along the Ko’olau Summit Trail (KST) and then hike out the following day. But do to severe fog and rough weather, coupled with the dangerous nature of the trail, Perkins became disoriented. Realizing he was indeed lost, he decided to call for help. After having to camp out one more night along the trail, Search and Rescue was finally able to locate him and hike with him until they reached the helicopter landing. Below is an interview Trails of Freedom conducted with Matt Perkins, discussing the details of his journey, including where he went wrong, what he did right, and his advice for other hikers. 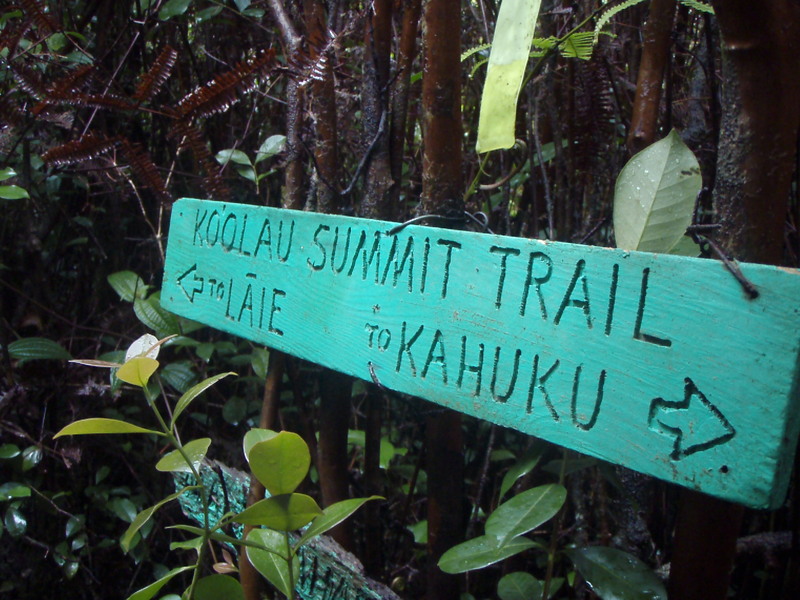 ToF: What made you want to do this particular hike, the Ko‘olau Summit Trail (KST)? ToF: What was the itinerary for this trip? Did you have a set time frame or destination? Matt: Well, that was actually part of the problem – I didn’t have a detailed itinerary. People who hike these kind of trails should know where they are entering, where they are going to camp, where they can find water, and they should have a clear destination. I really didn’t have that, just because I was thinking I would just go off for an overnighter by myself, and just go where the hike leads me. And although that’s fun, on an overnight backpacking trip, you can’t just go where the trail takes you. My plan was to start around 7 or 8am, be on the trail and hike until I got tired, set up my camp wherever that was. In the morning, I’d wake up and continue, and whenever I got tired I ‘d just find the closest trail and hike out, call my friends and they would pick me up. It was an itinerary, but not detailed enough, and that’s where I started running into some trouble. ToF: Did your friends know where you were going? Matt: They had an idea of where I was going, that’s why I had someone drop me off. They knew my rough itinerary, but I didn’t really give them any details because I didn’t have the details either. ToF: Do you normally hike alone? Why do this specific trail by yourself? Matt: In the last few months or so I have been doing a lot more solo hikes. Sometimes it was just a couple hour hike, but I’ve done some more that are 8-10 hours long. So I felt comfortable being by myself. Being by yourself is kind of lonely, but it’s just good quiet time. You can just focus and meditate, just relax and enjoy nature and God’s beauty. That’s one reason I love the mountains and love hiking, it’s a lot of one-on-one time, just God and me. That’s one reason I wanted to do this hike by myself, just get away from everything else and just do something I love. ToF: Would you consider yourself a rather advanced hiker then? 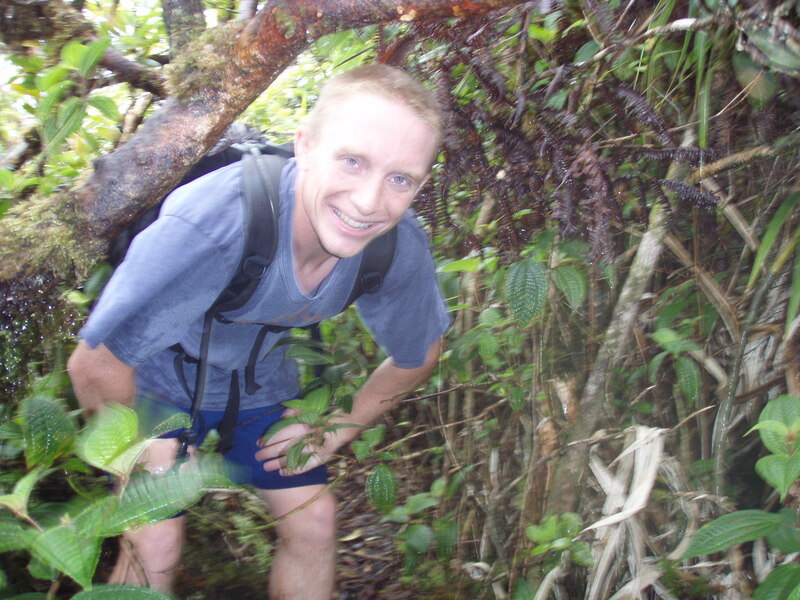 Matt: I have a lot of backpacking experience, either with big groups or small groups. I’ve led some climbs and some hikes, I’ve led some overnight backpacking trips, so it’s nothing new for me to be hiking, nothing new for me to be leading. I would say I am an advanced hiker, yes, but I’m not a professional, because I am not sponsored. But it’s one of those dream jobs. If it could pay the bills, I would do that instead of working. ToF: How did you prepare for this trail? Did you do a lot of research? Matt: I tried doing a lot of research on it, but it just didn’t exist. I knew the trail would be hard to find and I knew signs weren’t posted as well, but I figured it can’t be that bad. Of all the blogs I was reading, I could only find about 2 or 3 people who have actually done this. So that’s why it made it interesting. I know people that have done sections of it, but no one had ever done all 30 miles in a cohesive presentation. There wasn’t a guidebook for it or anything like that. Also, topographical maps are good, they work really well if you have a compass or GPS device. But I couldn’t really find topographical maps for this area in Hawai‘i. ToF: You said that there wasn’t a lot of information that currently exists on the KST. Would you say then there is a need for companies like Trails of Freedom who are trying to expand the knowledge base for hikers to cover areas like this? Matt: For that area, definitely yes. Obviously there are 3 or 4 different guidebooks in Hawai‘i itself, but all of them are for more common trails that the majority of the people want to go on. But if you are doing something that’s a little more difficult, and if you have already conquered all of those trails, you definitely need a trail guide of some sort. Without it, it’s difficult to first find the trails and stay on them. Signage is obviously key, and there were little flags that I could follow, but as for actually following directions… they just didn’t exist. ToF: Describe the first part of the hike. You were hiking for quite some time before you realized you were lost? Matt: Yeah, I didn’t realize I was lost until the second day. So my first day went according to my plan, which wasn’t really a solid one. I got dropped off at the appropriate spot, talked to some of the other hikers that were there and everything looked fine, so I started going up the trail. The hikers took a different path, so I wasn’t with them any other time. The directions from the blog I was going off of said to follow the road until it turns into a trail. And you have to have that right feeling, because there are some other trails that went off and I kept thinking ,“Is this it? No this can’t be it.” So just having that feeling. Part of it you are just kind of unsure. Probably about 3 hours into the hike, I finally found a sign for the KST, or the acronym for the Ko‘olau Summit Trail, so I knew I was on the right path. There was a lot of overgrowth, but there was a solid trail underneath me, so I could tell when I would wander off onto a game trail. But because it was so overgrown, you could easily make mistakes. And that’s how I have heard of other people getting lost up there, just easily following another trail off. So you have to be good at trail finding, which with my experience I usually am. ToF: Any nice views at that point? Matt: There were NO views. I was just sopped in the clouds. Another problem: if you are hiking an unknown area in the fog, you are setting yourself up to be lost. I mean, it was beautiful. It really was a great place. I kind of want to go back. But the clouds when I went were just too much. I only had a visibility of a couple hundred feet up to a quarter mile. ToF: You said you would consider doing it again at some point? Matt: I would like to, it would be fun. It’s kind of one of those things where when the trail beats you, you want to go back and see if you can do it. I love the quote by Sir Edmond Hillary: “It’s not the mountain we conquer, but ourselves.” And that’s one reason I like climbing. It’s not just to reach the top, it’s so I can learn more about myself as an individual. ToF: When did you realize you were actually lost? What was going through your mind? Matt: Well, everything was going fine. I knew I was on the trail by just these random markers. But it started getting late at night on the first day, so I set up my campsite. Because it’s Hawai‘i, I didn’t really bring a sleeping bag or blanket or anything, just a thermarest. I was just going to sleep in my clothes. But the temperature dropped into the mid-60s up there, and with the dampness it actually got pretty cold. I was a little concerned at night, so I actually had to use my rain jacket to keep me warm. Living in 80-degree weather, I just assumed it would be warm. I have enough experience to know that’s not right. I just jumped onto this trail without doing enough research and without thinking through what could happen or what could go wrong. I stayed warm enough, but had it rained more severely, I would have been freezing cold. 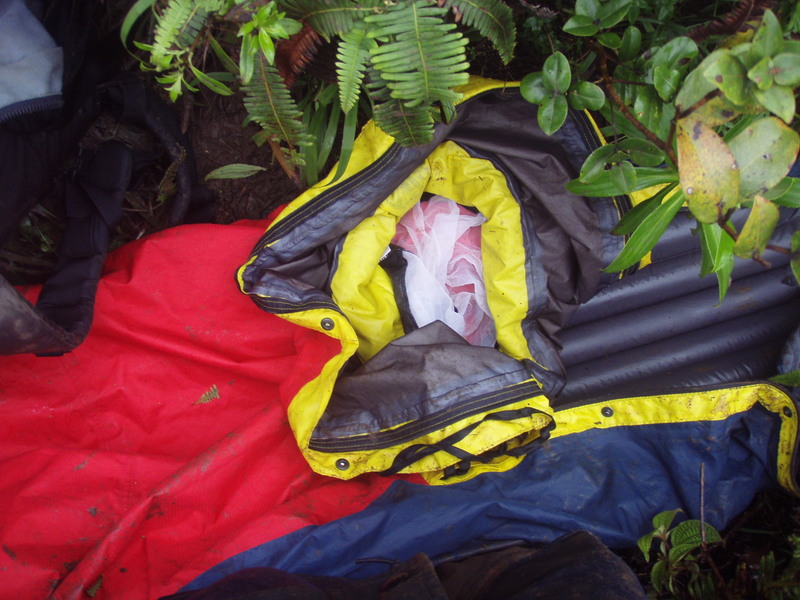 The bivy sack kept the heat in and the wind away and so everything ended up being fine. I woke up, packed everything up and continued down the trail. But about an hour and a half later, I came across a huge stream after going down a massive hill, and that stream then led into a number of waterfalls and I realized I was definitely in the wrong spot. If you are on a summit trail, you shouldn’t be having to cross streams or rivers, or navigate yourself up waterfalls. So I turned around and went back to where I had camped, which was another hour and a half back. I looked at my GPS and at my iPhone map, and nothing was lining up. I could find out where I currently was, but that didn’t help me figure out how to get to an actual destination. ToF: What was your biggest concern at that point when you had actually called 911 for help? 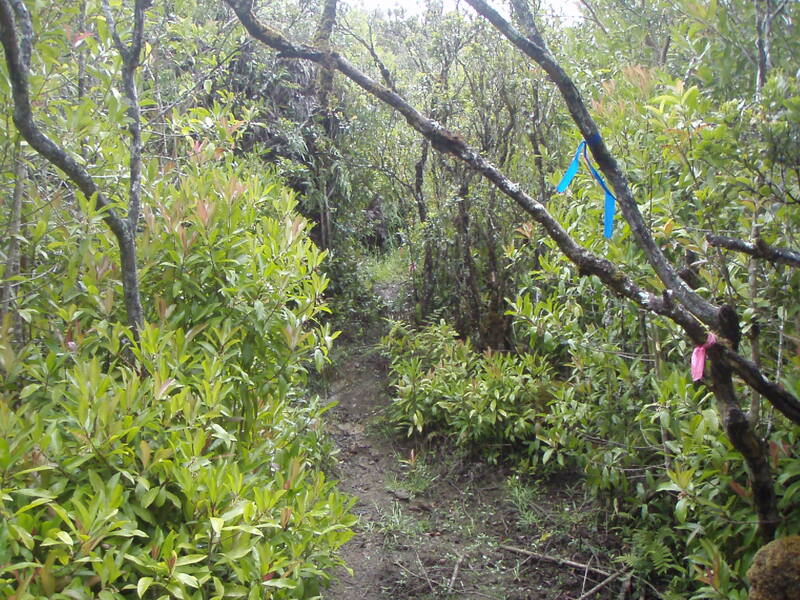 Matt: My biggest concern is actually finding the correct trail. I kept thinking, “How am I going to get out of here?” I thought about trying to navigate all the way back to where I was dropped off, but that was a 12-14 hike, and so if I found my way, I would not get out until late that night or even the next morning. ToF: Did you have enough supplies with you to make it another day? Matt: Yes, I still had plenty of water, and I had a water purifier with me. I know you can easily go a couple days without eating, I had done it before. And I had enough food with me to last until the next day and I could easily ration. So having all the necessary supplies to spend the night, I know I could have done it. But my concern was actually getting back. I actually had a personal obligation that evening. It was work related and I really needed to be off the mountain by then. So I ended up calling my mother first, who was able to get onto the internet, so she was trying to research trails and blogs and using Google Earth. And she couldn’t find anything remotely close to me, because again, there really isn’t much in terms of designated trails. So after doing 4 hours of that, I still had no idea how to get home. And since I was currently safe and healthy, I knew now was the right time to call 911, when I am not injured and can easily survive and wait it out. ToF: Even with the GPS that you had, you couldn’t find your way? Matt: Yup, because the GPS didn’t have a map. That’s one thing, everyone always says bring a map and compass. If you don’t have a map, it’s great to know that you are at 43N and 157W, but what does that actually mean? Where does that put you on the map? And the map should actually show you how to get off, where trails intersect and stuff. It is the lack of the map that severely inhibited me. And also, I had no knowledge of the local area, so no innate knowledge and no map to help me out. So, you must have at least one or the other. ToF: What advice did search and rescue give you when you called them? Matt: Search and Rescue did almost exactly what I thought they would do. They said “Stay there, we are going to come get you.” And I have actually been part of search and rescue before and seen how it works and read enough stories to know that is what they are always going to say. They don’t want you risking the hike out and breaking an ankle or a leg. At that point you have to stay where you are, because they are coming to that latitude and longitude to get you, and if you are not there, then they have no other place to look. ToF: Were you in constant contact with Search and Rescue? Did they contact you later that night? Matt: We started contacting each other every couple of hours, just to stay up to date. Initially they had said they were sending a helicopter to me, and I was like, “Well that’s cool. They will just lower a rope down to me, I’ll strap in, they will haul me out and this will all be over in a couple hours.” Also, one reason I called them around 1 o’clock is because I knew there was still five hours left of daylight. I figured that gave them plenty of time to find me. The problem was the clouds were there and the wind was up, so that just added time. It wasn’t really happening as fast as I wanted it to, but I knew Search and Rescue had lost people in these mountains before and they don’t want to risk their own people to come get you. So they are doing everything by the book, they are following their procedures. If you are someone who is lost you have to remember that they are following their safety precautions because they too don’t want to end up in your situation. And before heading out on the trails, you should be aware of the limitations of the local Search and Rescue. ToF: What was going through your mind when you learned that they had to abandon the search and that you would have to spend the night there? Matt: It was definitely disappointing. And I was kind of sad because now I was going to be by myself for longer than I had anticipated. But I still had two quarts of water, so I wasn’t really concerned about either thirst or hunger or anything too serious. I mean, I had spent the night beforehand, so I knew I could do it again. Getting out of the rain wasn’t an option, but I made sure where I slept was at least out of the wind. I know that the wind kills. It’s the wind that does you in, not the temperature itself. So I got into my bivy sack and basically went to sleep around 6pm. I decided to get as much sleep as I could since the sun was still up, I would still be warm. That way, when it did get cold at night, I would at least have gotten some sleep that I could use. ToF: So you were in that location for about 20 hours. What did you do to pass the time? Matt: Haha, I have no idea. I tried memorizing the alphabet backwards. Umm.. I sang the Happy Birthday song, which took me 17s to sing it. So then I tried it again – it still took me 17s. My average time for singing Happy Birthday – 17s haha. Sang 99 bottles of beer on the wall a few times too. ToF: Did you ever consider moving on? Matt: I strongly wanted to move on, but I have read so many articles where if you move, that’s when problems arise. You move and that’s when you break your leg. If you move and Search and Rescue shows up 20 minutes later, they can’t find you. So I knew I couldn’t go anywhere. But it kept going through my mind. I decided to give them one more night. If Search and Rescue couldn’t find me by then, then I was going to get myself out of there somehow. And even then I knew that too was wrong. ToF: Now when Search and Rescue finally did come, how long did it take to hike to the landing zone and reach the helicopter? Matt: Well, first before that, when Search and Rescue had called they had asked what I was wearing so they could try to locate me. I told them I was wearing a dark green jacket and dark brown shorts. And I was thinking, “This is the absolute worst thing I could be wearing with Search and Rescue trying to find me!” They are going to be looking for something that is dark green and brown in a fern forest that is dark green and brown, along with the dense fog. My bivy sack though is bright red, so I was able to use that to kind of mark my location. And I could see them coming because they were wearing bright red jackets. So when they found me, it was about a two hour hike back to where they had been dropped off. But when we got back, the clouds had moved lower and the winds had picked up, and the helicopter pilot could not get us there because it was too dangerous. So then we walked another 3 hours out to the landing zone where the helicopter was eventually able to pick us up. Matt: No major injuries, but quite a few scratches from the bushes and stuff. Being out there for so long, my knees got cut up pretty bad. I went through a section of raspberry bushes – too bad the raspberries weren’t in season, but their thorns definitely were. They just scratched all exposed skin. But other than that I was ok.
ToF: What was your biggest mistake? Matt: The biggest mistake I made occurred before I ever set foot on the trail. It was not having a map and not knowing the trails. The weather just made things more challenging, but I should have expected the clouds to be there – they are always there. It was just me being ignorant and not remembering the basic and most important rules of hiking and backpacking. ToF: What advice do you have for other hikers? Matt: It all starts with proper planning. I should have known where I was going, and should have had the appropriate gear. I had a headlight and I had whistle. I had the knowledge and the experience. I was in great physical shape. But I just didn’t plan well. I mean, I could go through the list of everything I did right, but when it all comes down to it, I forgot one of the basic steps of backpacking and that’s what got me in trouble. But if you do end up in this situation, do what I did. Listen to Search and Rescue, stay where you are supposed to be, and always bring the essential gear with you. ToF: What are some of the essentials that you think every hiker should have in their pack? Matt: I always bring a whistle, also a headlight of some kind. Make sure you have enough stuff to stay warm, even if it is a bright and sunny day. I also had the bare necessities for first aid along with the knowledge and experience of how to carry that out. You need to remember that when you are hiking by yourself, problems happen a lot quicker than if you are with someone else who can help you. ToF: Anything that you wish you had brought with you but didn’t? Matt: A map. But I did look, and just couldn’t find a topographical map for that area. ToF: Will you do a hike like this alone again? Matt: To be honest, probably. But this definitely showed me what mistakes I made and now I know what I need to look at before I do something like this again. I have done other hikes that are 18 hours long by myself, but I knew those trails really well. I had been on those trails before with groups before doing them on my own. So hiking by yourself isn’t a problem, it’s hiking by yourself in an unknown area that will lead you into trouble. ToF: Last question, and probably the most important one… Where was the first place you went to eat afterwards? Matt: Haha, I went to a local pizza restaurant called Big Kahuna’s and had four or five slices. And then we went to Bubbie’s Ice Cream for dessert. Delicious. Trails of Freedom would like to thank Matt Perkins for his time and support. Glad to have you back safely Matt!